The system makes the "iconic" Taco Bell ringing noise when you turn it on. Taco Bell is looking to give away a Platinum Xbox One X with plenty of goodies to several winners. 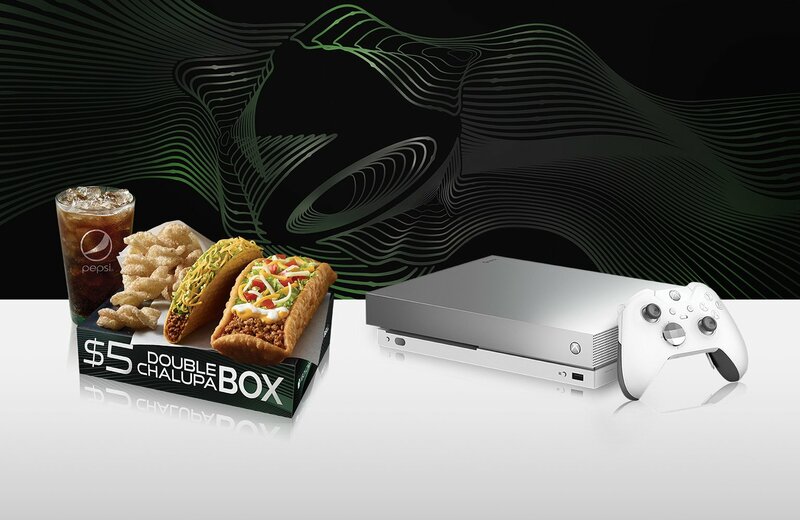 Right now, if you go to the restaurant and pick up a $5 Double Chalupa Box, you could potentially be chosen to win one of the Xbox One X Platinum Limited Edition Bundles, which come with the "bell" sound Taco Bell's famous for. If you end up winning an Xbox One X, you'll even have it delivered to you within 72 hours, so you could potentially be gaming with your new system in just a few days. You don't just get the system, though. You get an Xbox Elite Wireless Controller in White, 3 months of Xbox Game Pass, and 3 months of Xbox Live Gold. As far as the Double Chalupa Box, you get a Double Chalupa or Spicy Double Chalupa, a crunchy taco, cinnamon twists, and a medium drink. The cinnamon twists are great news, but every time I go to my awful Taco Bell, they claim to be out of them. They also can't understand when I order something without lettuce that it means I don't want extra lettuce. 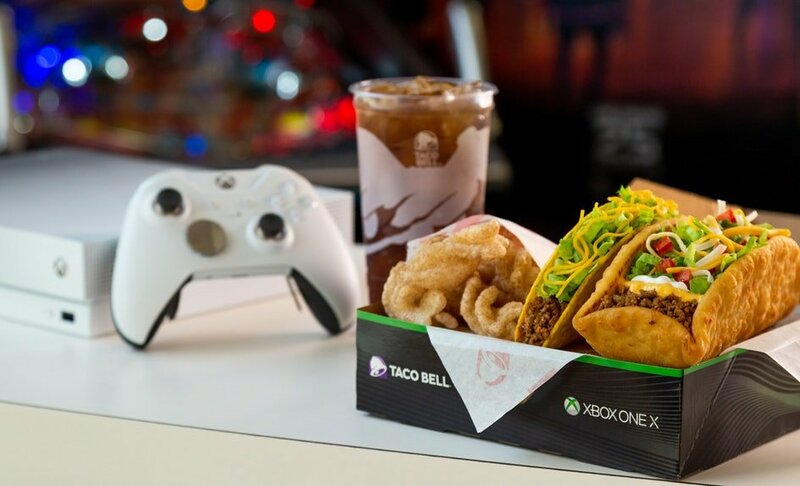 Anywho, you can dash over to Taco Bell and pick up the $5 Double Chalupa Box to try and snag one of these Xbox One X units now, at least if they don't try to tell you (also like my Taco Bell) that they're "out of the boxes" every time you go to order one. Before you ask, no I don't have a closer Taco Bell that's any better. If you're one of those "I would never eat at Taco Bell because it's so bad for you" people or an "I only eat Real Authentic Tacos" person, you probably don't want to buy a $5 box. That's cool. Here's a solution for you, and you're welcome. Just like with most contests that really want you to buy something to enter, the rules state that there's "no purchase or payment necessary" to enter. You can head to the official rules page for information on how you can enter without buying a $5 box. Funny thing. I just had one of those for lunch a couple hours ago and entered the contest. The only I won was diabetes. Chalupas are like the 13th best thing at Taco Bell. Who the hell wants two? Steak chalupa supreme is so good.